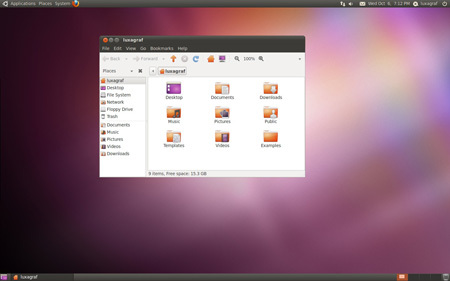 Review Canonical delivered the latest version of its Ubuntu Linux distribution on October 10. Releasing Ubuntu 10.10 on 10/10/10 might seem an auspicious idea, but after the overhaul that was Ubuntu 10.04, the latest release looks tame by comparison. While there is little in Ubuntu 10.10 that will knock anyone's socks, it makes for a solid update and continues Ubuntu's push to take on not just Windows, but Mac OS X as well. The first thing you'll notice on a fresh install of 10.10 is the installer has once again been revamped, though the changes are for the most part cosmetic. The various slides that give new users information about Ubuntu have been tweaked and some menus appear to have changed. Unfortunately, the actual install process proceeds as usual - a fact that means dumping everything onto a single partition. While that may be fine for some users, Fedora and other distros have long since switched to multiple partitions that separate your home folder from the system files. Fedora manages to do this without any user input and - for a distro that claims to be focused on being user-friendly - Ubuntu's failure to automatically partition seems an egregious oversight. Naturally, partitioning is easy for advanced users who know what they're doing and opt to customize their installs, but for those just clicking on the defaults, partitioning won't happen and that's a shame. Ubuntu may be pushing Ubuntu One as a backup and recovery solution, but assuming everyone will use it seems naive. Ubuntu needs to stop fiddling with the installation screens and improve what the installer is actually doing, putting user and system files on separate partitions. Once you've booted up, you'll see while 10.10 doesn't look radically different from the previous release it does have a number of very subtle improvements that make the default theme a bit nicer. Application windows sport smoother gradients, window buttons have been enlarged and refined, and the default Humanity icon set has seen a slight makeover. Overall, Maverick's default theme is really what 10.04 should have been - more polished and refined with a greater attention to details. Ubuntu it seems is taking up Apple's longstanding belief that details matter. Other parts of the Ubuntu interface have seen makeovers as well, like the revamped sound menu that features a nicer looking slider and says what track is playing along with the basic play/pause and skip buttons - a bit like Rhythmbox's minimized view living in your top panel. The release also sees the inclusion of a new Ubuntu font that serves as the default for applications, desktop and window titles. The font is a step up from the old Sans font that used to be the default, though font aficionados are unlikely to be bowled over by it. Perhaps the most noticeable design change in Ubuntu 10.10 is the Ubuntu Software Center, which has some new features like a History option in the side menu, showing all package installations, removals, and upgrades by date. There's also a controversial new proprietary software portion section in the Software Center. At the time of writing, there were no apps for sale, but there were some wallpapers included for testing purposes. Unlike the beta release, where I was never able to get to a purchase screen or even login for that matter, this time everything worked as advertised. Eventually, the plan is for commercial Linux software to be purchased and installed right alongside the familiar free options, but for the initial launch of Ubuntu 10.10, the options will likely be limited to only one package - Fluendo's DVD player application. It remains to be seen if Ubuntu can attract large developers to the platform, but certainly, providing an easy way to sell their apps is a step in the right direction.